Some credits for “Keyboard Express” confuse its composer, a pianist and vocalist named Mike Jackson, with bass saxophonist and King Oliver sideman Reverend Charlie Jackson, who is in turn often confused with bluesman Papa Charlie Jackson. “Mike” is also short for “Michael,” so the King of Pop is also on hand to make a mess of web searches. 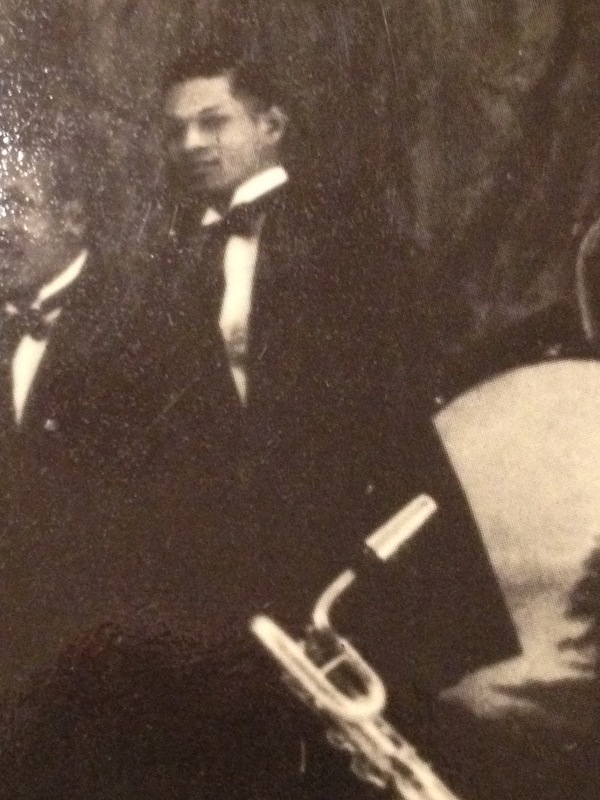 Williams was a composer in his own right but all business. 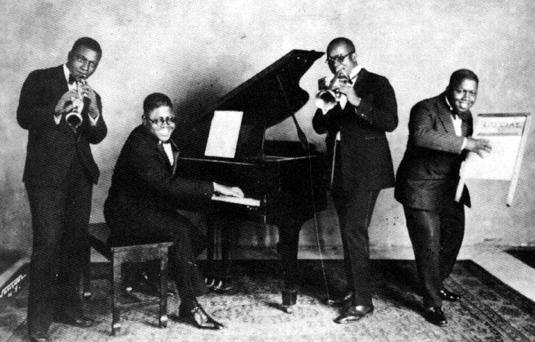 Barring owing anyone a favor, Williams must have heard something he liked in “Keyboard Express,” thought Jackson’s tune would sell and decided to record it. 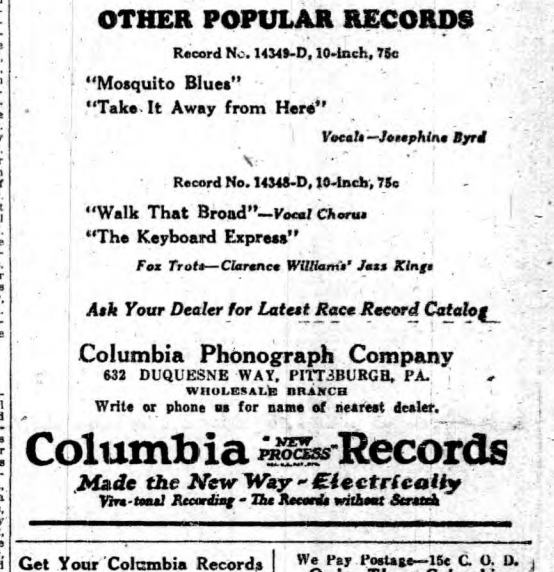 Columbia marketed the record but the composition apparently never made a splash; Williams supplied its only recording (until the Southern Syncopators‘ 1993 album Happy Pal Stomp). Stacking both records side by side, we can compare Clarence Williams and Fred Rich, one’s Jazz Kings and the other’s Orchestra. Music historians might discuss jazz and popular music. Record collectors might subdivide hot and commercial, stomp and pep. In terms of performance, there is the distinction between arrangement and (some) improvisation. Compositionally, it’s a matter of a jazz tune and a Tin Pan Alley song. From a marketing perspective, one is a race record and the other (just) a record. On one very specific level, we have a jazz composition by a now obscure Black composer that only received one recording in its time, recycled/plagiarized by a group of White composers and converted into a popular tune that gained far more attention. Ironically for some, the recording by a White band has far more improvisation than that of the Black band. Either way, the difference between these two old records is as complicated and current as Black and White. Through both records and everything attached to them, there is that ascending phrase, more like a sequence or even an exercise, yet still typical of jazz. From its ragged beginnings to labyrinthine heads by Parker through Blanchard, jazz is often associated with instrumentally conceived melodies featuring lots of jagged turns, with piping, springy leads and songs that are hummable but not necessarily singable (unless you’re a Baroque diva, or Sarah Vaughn). There is something telling about Jackson’s riff being used for an anthem to hip music. The bridge of “Revolutionary Rhythm” even ups the ante with modernistic harmonies and offbeat rhythmic emphases on the bridge. The riff itself is slightly mechanical but rises inexorably, like some efficient escalator headed to a wonderful destination. It’s not the trickiest jazz head but it is uplifting. It also unites several musical worlds, albeit in a very tricky, potentially disappointing way. It all depends on what you pay attention to. In jazz, “front line” usually means trumpet, trombone and clarinet weaving collectively improvised lines through multiple strains or, in its modern parlance, at least two horns blazing through “the head” in tight unison. 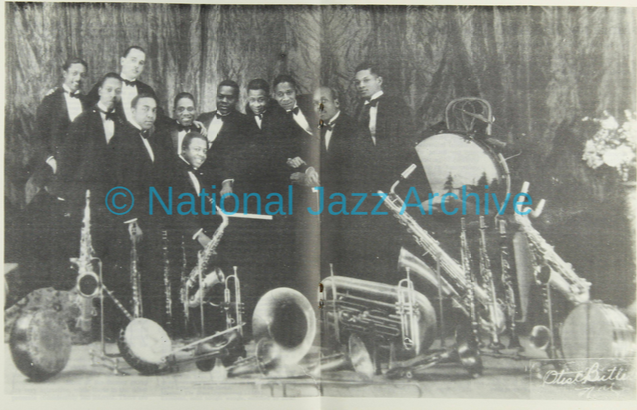 Of course there are exceptions that prove the rule, such as a half-dozen of Clarence Williams’s washboard sessions, waxed during the first six months of 1926, using just cornet, clarinet, found percussion and the leader’s piano to defy conventional roles for non-rhythm section players. Clarence Williams, "You For Me, Me For You"
and the difference becomes more a matter of style rather than predetermined function. Bailey played with King Oliver and knew what was expected of NOLA ensemble clarinetists: decorous, penetrating lines mostly in the upper register, dovetailing with the lead but staying out of its way. Bailey’s playing on “Yama Yama” would fit perfectly with a trombone as well as a cornet in the mix. Morten on the other hand is not just sparer but closer to Allen in terms of dynamics as well as register. He accompanies the lead more than he ornaments it. Clarence Williams, "My Own Blues"
Morten complements Allen’s powerful lead with sustained ascending high notes followed by busier fills; tension and release, accompaniment but not background, simple but very effective. On the verse right before the vocal, Morten sticks to a simpler part and leaves Allen room to stretch out. These sessions using just(?) four players with washboard instead of the pricier full drum kit may have been an attempt by Williams to cut overhead. Yet even if he wanted to do the record cheap, he wanted to make it right. Williams consistently hired Allen for his record dates, obviously appreciating the cornetist’s ability to play as powerfully, sensitively, bluesy, or clean as needed and remain recognizable. Bennie Morten a.k.a. 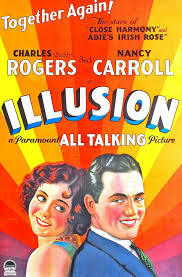 Morton only seems to have participated on these few sessions with Williams. 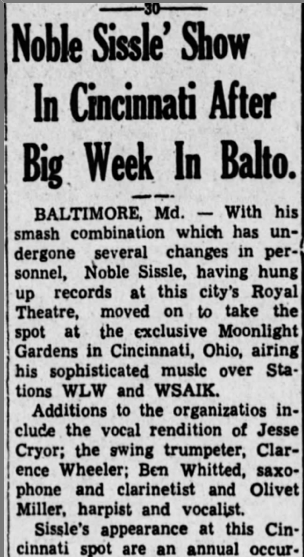 This blogger can’t find any other sessions that include Morten or biographical information about him (his name being very close to that of trombonist Benny Morton doesn’t make research any easier). Whoever Morten was, he obviously had a great ear and gift for ensemble playing. Williams not only found him but also sat him next to Ed Allen in a studio. It’s not the Creole Jazz Band or Bird and Dizzy, it’s all theirs. Aside from the actual music on Frog’s new release of Clarence Williams’ washboard bands, John Collinson’s liner notes illustrate why these reissues are so important. Collinson suggests “the use of the washboard may have been an attempt to connect with the unsophisticated coloured migrants from the south [sic] who may have felt happier on hearing certain sounds they could relate to.” He also notes “The usual reason offered however is as substitute for an expensive drum kit.” The possibility of artistic choice, rather than commercial or financial compromise, never enters the discussion. 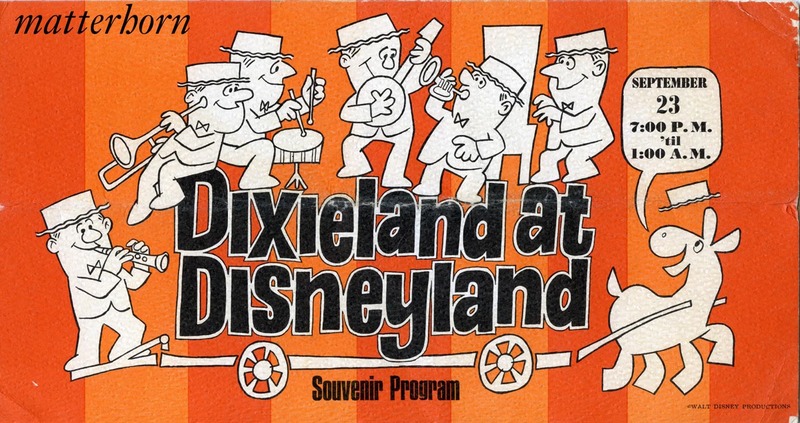 My first experience with a washboard band was on a high school trip to Disneyland (or was it Disney World? Which one is really humid and looks like a five-year old child’s mind after they get into the medicine cabinet?). Trumpet, trombone, clarinet and banjo sang and strummed to the heavens over the clang of stain-removing percussion. Most of my fellow tourists viewed the group as either a colorful attraction or an annoyance, not unlike Mickey, Donald and those two destructive chipmunks. 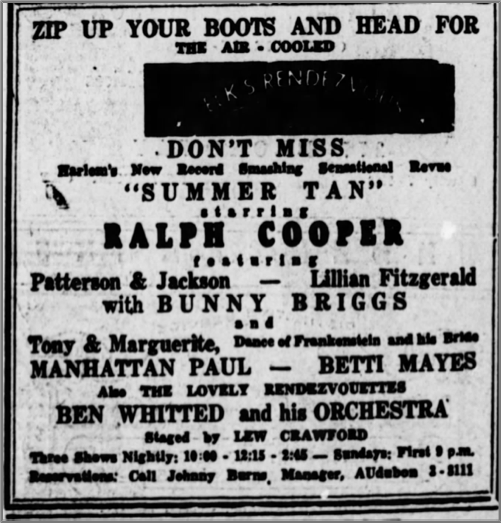 Yet since that visit, I’ve continued to be impressed with the panoply of sounds a skilled washboard player can conjure from their washboard, including scrapes, taps, alternating downward and upward strokes, and through a variety of auxiliary percussion mounted with an engineer’s resourcefulness. During a trip to Prague two years ago, I was greeted and then dazzled by the miniature cymbals of a washboardist playing with a group of Dixieland-loving Czech musicians on the Charles Bridge. Barring a large influx of Southern migrants (or time travellers from the pre-war era) crossing the bridge, these musicians were simply expressing themselves with an instrument they found inspiring. Hearing the instrument or style as “old-fashioned” or “primitive” is the listener’s issue, not theirs. As for Clarence Williams’ decision to use a washboard, even if it was based on calculation rather than preference, the sound of Floyd Casey, Bruce Johnson and Jasper Taylor is all we need. Rather than hearing Frog’s latest release as a record of earlier, simpler (read, simplistic) music making, we can listen to it as a unique artistic experience. Not to disagree with Frog, but there will never be anything “vintage” about that. As for the actual music on that CD, check out my review on All About Jazz.